Some clouds this morning will give way to generally sunny skies for the afternoon. High 53F. Winds ESE at 10 to 15 mph.. Partly cloudy skies this evening will become overcast overnight. Low 44F. Winds SSE at 10 to 15 mph. Courtesy photo/Members of the Cape Ann U10/U12 Girls Ice Hockey team and Cape Ann Special Olympics bowl during a party Sunday at Cape Ann Lanes in Gloucester. Courtesy photo/Members of the Cape Ann U10/U12 Girls Ice Hockey team present a $524 check to the Cape Ann Special Olympics program during a party Sunday at Cape Ann Lanes in Gloucester. 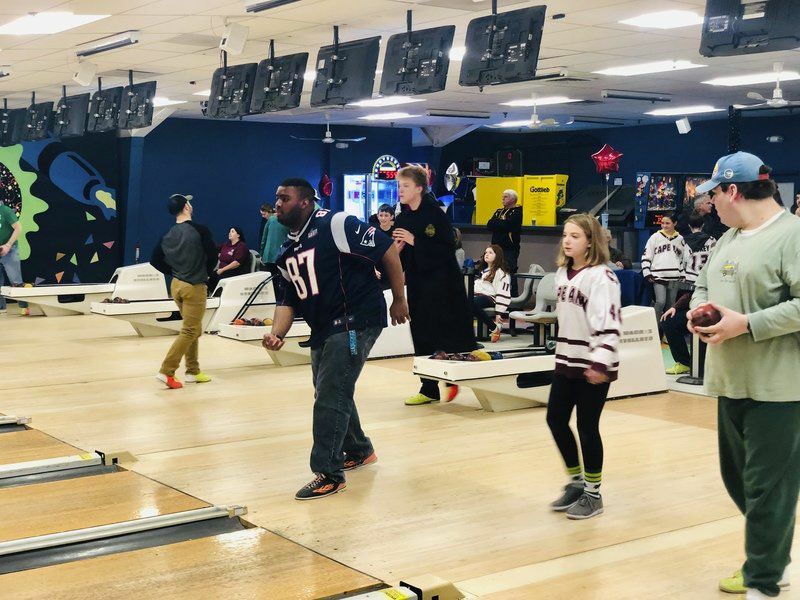 Two groups of Cape Ann athletes, one helping other, celebrated together Sunday with a bowling party. 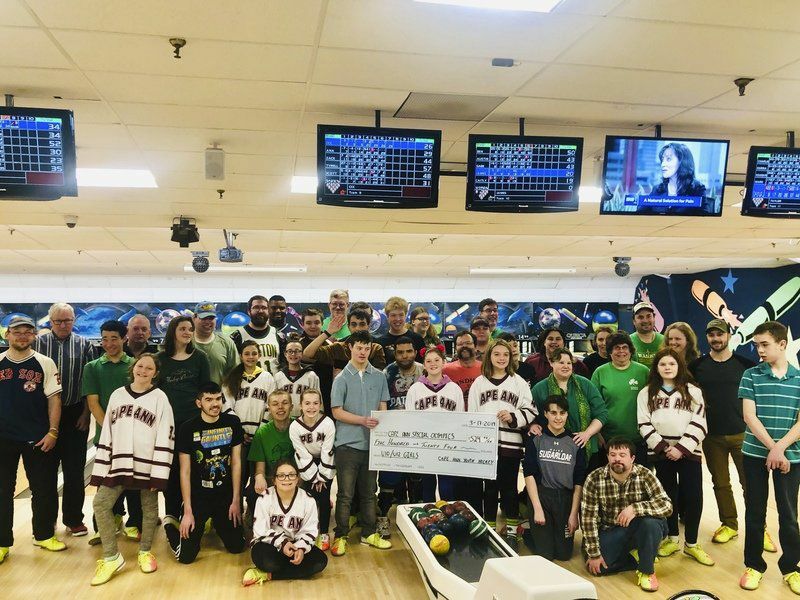 The Cape Ann U10/U12 Girls Ice Hockey team presented a $524 check to the Cape Ann Special Olympics program during the party at Cape Ann Lanes in Gloucester after a successful fund-raising season. The Cape Ann U14 girls team ran a similar program on behalf of the Cape Ann Special Needs Assistance Program and raised over $275. The players raised money through a series of small donations made by family, friends and fans of the players. The donations went into a pool and the girls then “earned” the money throughout the season by volunteering in the community or performing above and beyond on the ice. Community service included singing holiday carols to community members, selling fundraising calendars alongside Special Olympians and volunteering with Cape Ann Challenger Hockey, a program that helps players with disabilities or special needs learn to play. To earn money on the ice, players could complete tasks such as skating faster during practice drills, making more passes in games, or achieving a hat trick. Now, the Cape Ann U14 girls are making their way to playoffs with a first-round bye.